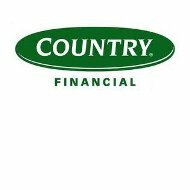 Country Financial has been doing business since 1925 and is located in Bloomington, Illinois. They offer a variety of insurance products for both individuals and businesses from which you can choose. Country Financial keeps up a Facebook page and a Twitter account for those of you who like to see what the companies you use are doing. Currently, Country Financial is using their summer intern program to help build homes with Habitat for Humanity. Country also offers a college grant program, supports community events, and provides their employees with the time off they need to participate and volunteer in events in their own communities. Country Financial uses their own agents to sell their products. Their system is similar to how State Farm runs their business. An agent who wants to run their own business signs up with the company to sell their products exclusively. Technically the company is owned and operated by the agent, but they must follow all of the rules, regulations, and training requirements of Country Financial. There are hundreds of agents who run their own Country businesses throughout the 14 states in which these products are available. Country Financial is currently recruiting agents who would like to start their own businesses. In addition, they are paring paid interns with Country offices so that they can learn about the company, get their licensing, and potentially open their own offices after they graduate. There are two different types of jobs available, Financial Representative Careers, which is what they call agents who run Country offices, and Corporate Careers, which consists of individuals who work directly for the company. The company also offers free training and development, including managerial training to their employees. If you have a claim with Country Financial, then you will need to call them at 866-268-6879 to file that claim. In addition, you can call and speak to your agent and ask them to help you with the process, but the truth is that things will go a bit faster if you simply call the toll free number because your claims representative will be able to answer the same questions that your agent will. Country Financial provides a claims checklist for you to use to ensure that you have everything that you need before you file your claim. They have a different checklist for each claim type. In order to get a quote with Country Financial, you will have to speak with a representative of the company. The do make it look like they have a quote tool on their website, but all it is for is to determine whether their services are available in your area. The bottom line is that Country Financial does not sell any health insurance products for you to take advantage of. If you are a business, then you can take advantage of their workers’ comp insurance or their stop loss insurance if you are self-insured. Outside of that, they do not have anything to offer in this department. If you are an individual looking for health insurance, then there is a better option for you. Shop around with several companies that sell the health insurance products that you need.